The late Michael King was one of New Zealand's most respected and popular historians. The author of the bestselling The Penguin History of New Zealand and many other significant works, he was a writer of remarkable skill, sensitivity and importance. The Silence Beyond is a wide-ranging and often personal collection of King's writings - many in print for the first time or no longer available - including essays, talks and eulogies for friends. Introduced by his daughter, Rachael King, The Silence Beyond is a timely and fitting tribute to one of New Zealand's greatest modern thinkers. 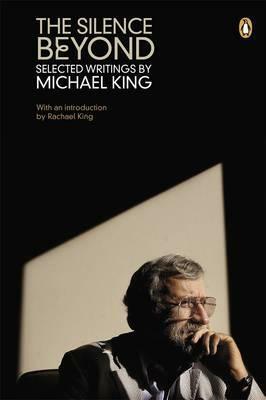 The late Michael King was one of New Zealand's leading historians. Over three decades he wrote or edited more than 30 books, most of them New Zealand history or biography. He won a wide range of awards for this work, including the New Zealand Book Award for Non-fiction, the Wattie Book of the Year (twice), the Montana Medal for Non-fiction and, in 2003, an inaugural Prime Minister's Award for Literary Achievement. He was a contributor to the prestigious Oxford History of New Zealand and wrote for all five volumes of The Dictionary of New Zealand Biography. Dr King taught or held fellowships at seven universities in New Zealand and other countries, including Georgetown University in Washington DC, where he was Visiting Professor of New Zealand Studies. He was tragically killed in a car accident in 2004.